On this page you will continously find news on our online casino, updates on games and other interesting bits of information about online gambling. 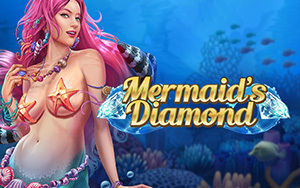 Tuesday 22th of March free spins on Mermaids Diamonds. Play your free spins and try your luck. 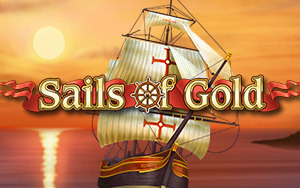 Tuesday 19th of March free spins on Sails of Gold. Play your free spins and try your luck. 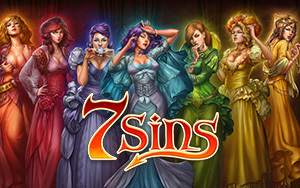 Tuesday 12th of March free spins on 7 Sins. Play your free spins and try your luck. Friday 1st of March free spins on Crazy Cows. Play your free spins and try your luck. 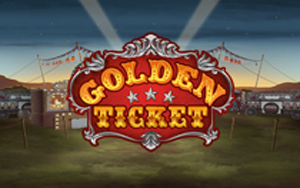 Friday 22th of February free spins on Golden Ticket. Play your free spins and try your luck. Tuesday 19th of February free spins on Aztec Idols. Play your free spins and try your luck. 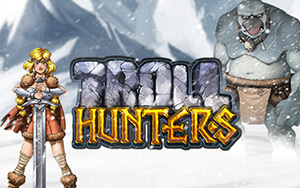 Friday 8th of February free spins on Troll Hunters. Play your free spins and try your luck. 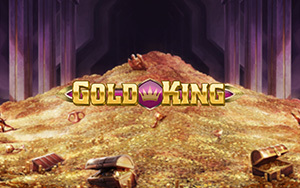 Tuesday 5th of February free spins on Gold King. Play your free spins and try your luck. Friday 1st of February free spins on Viking RuneCraft. Play your free spins and try your luck. 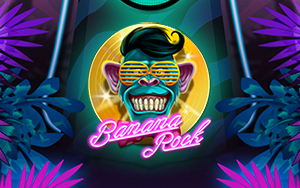 New game with introduction Free Spins Tuesday 29th January: Banana Rock. Play your free spins and try your luck. 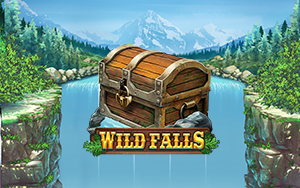 New game with introduction Free Spins Friday 25th January: Wild Falls. Play your free spins and try your luck. Tuesday 22th of January free spins on House of Doom. Play your free spins and try your luck. 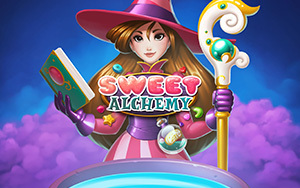 Friday 18th of January free spins on Sweet Alchemy. Play your free spins and try your luck. 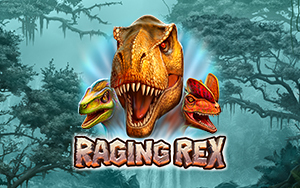 New game with introduction Free Spins Friday 11th of January: Raging Rex. Play your free spins and try your luck. 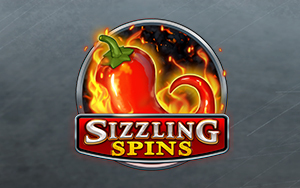 New game with introduction Free Spins Tuesday 8 January: Sizzling Spins. Play your free spins and try your luck. 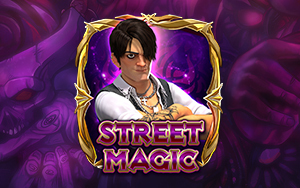 New game with introduction Free Spins Friday 4 January: Street Magic. Play your free spins and try your luck. NOTE. The free spins are available from 10:00 AM to 23:00 PM To get the free spins your account must have had a deposit of € 20,- or more in the past or you can do it now. 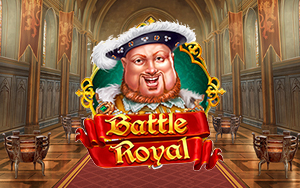 New game with introduction Free Spins Saturday 29 December: Battle Royal. Play your free spins and try your luck. Tuesday the 25th of December Free Spins on Merry Xmas. Play your free spins and try your luck. 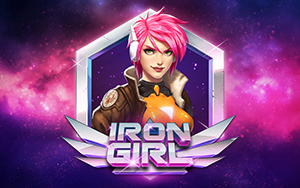 New game with introduction Free Spins Tuesday 11 December: Iron Girl. Play your free spins and try your luck. Friday the 16th of November Free Spins on A Night in Paris. Play your free spins and try your luck. Friday 28th of September free spins on Tiger's Claw. Play your free spins and try your luck. Tuesday 25th of September free spins on Pinocchio. Play your free spins and try your luck. Friday 21st of September free spins on Giovanni's Gems. Play your free spins and try your luck. Tuesday 18th of September free spins on Black Gold. Play your free spins and try your luck. Friday 14th of September free spins on Legend of the Nile. Play your free spins and try your luck. 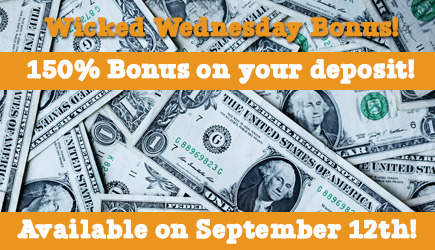 150 Percent Wicked Wednesday Bonus 12th of September! Wednesday September 12th Wicked Wednesday 150% bonus on your deposit! NOTE. The bonus is available from 09:00 AM to 23:00 PM To get the 150% bonus on your account you must deposit between € 50,- and €400,- profit while you can! Tuesday 11th of September free spins on A Night In Paris. Play your free spins and try your luck. 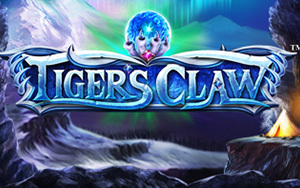 Friday 7th of September free spins on Tiger's Claw. Play your free spins and try your luck. Tuesday 4th of September free spins on Magic Shoppe. Play your free spins and try your luck. Friday 31st of August free spins on Under The Bed. Play your free spins and try your luck. 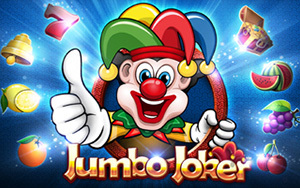 Tuesday 28th of August free spins on Jumbo Joker. Play your free spins and try your luck. Friday 24th of August free spins on The Angler. Play your free spins and try your luck. Tuesday 21st of August free spins on Black Gold. Play your free spins and try your luck. Friday 17th of August free spins on Kawaii Kitty. Play your free spins and try your luck. Tuesday 14th of August free spins on A Night in Paris. Play your free spins and try your luck. 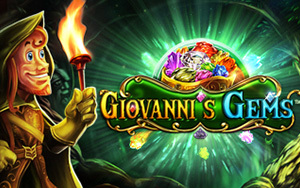 Tuesday 6th of August free spins on Giovanni's Gems. Play your free spins and try your luck. 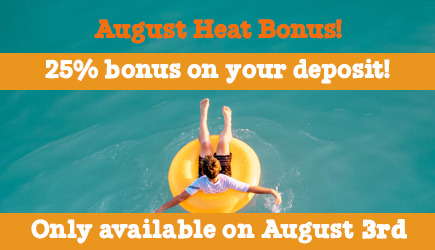 Friday 2nd of August Heat Bonus 25% bonus on your deposit! NOTE. The bonus is available from 09:00 AM to 23:00 PM To get the 25% bonus on your account you must deposit between € 20,- and €100,- profit while you can! Tuesday 31st of July free spins on Pinocchio. Play your free spins and try your luck. Tuesday 27th of July free spins on Sugar Pop 2. Play your free spins and try your luck. Tuesday 24th of July free spins on Stampede. Play your free spins and try your luck. 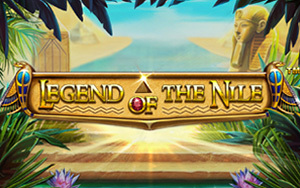 Friday 20th of July free spins on Legend of the Nile. Play your free spins and try your luck. 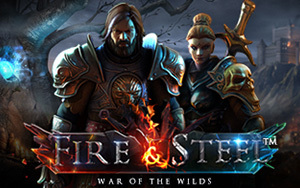 Tuesday 16th of July free spins on Fire And Steel. Play your free spins and try your luck. Friday the 13th of July free spins on Fruit Zen. Play your free spins and try your luck. Tuesday the 10th of July free spins on Black Gold. Play your free spins and try your luck. Friday the 6th of July free spins on A Night in Paris. Play your free spins and try your luck. 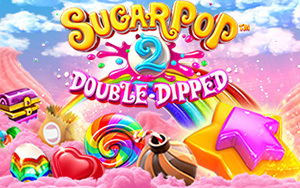 Tuesday 3rd of July free spins on Sugar Pop 2. Play your free spins and try your luck. Friday 29th of June free spins on The Slotfather Part 2. Play your free spins and try your luck. Friday 26th of June free spins on Giovanni's Gems. Play your free spins and try your luck. Friday 8th of June free spins on Boomanji. Play your free spins and try your luck. 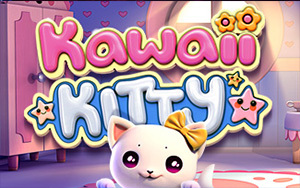 Tuesday 12th of June free spins on Kawaii Kitty. Play your free spins and try your luck. 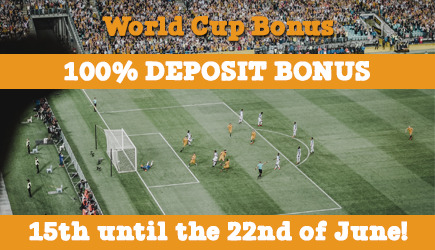 Friday June 15th World Cup Bonus 100% bonus on your deposit! NOTE. The bonus is available from June 15th 09:00 AM to June 22nd 23:00 PM To get the 100% bonus on your account you must deposit between € 20,- and €250,- profit while you can! Tuesday 12th of June free spins on Legend of the Nile. Play your free spins and try your luck. Friday 8th of June free spins on Sugar Pop 2. Play your free spins and try your luck. Tuesday June 5th free spins on Tiger's Claw. Play your free spins now and try your luck! 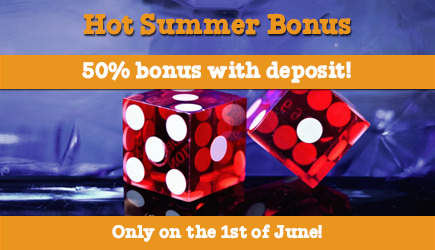 Friday June 1st Hot Summer Bonus 50% bonus on your deposit! NOTE. The bonus is available from 09:00 AM to 23:00 PM To get the 50% bonus on your account you must deposit between € 20,- and €100,- profit while you can! 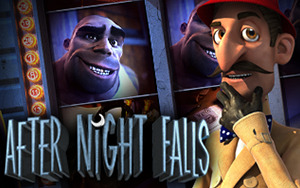 Tuesday May 29th free spins on After Night Falls. Play your free spins now and try your luck! Friday 25th may free spins on Pinocchio. Play your free spins and try your luck. Friday May 22nd free spins on The Angler. Play your free spins and try your luck. Friday May 18th free spins on Under The Bed. Play your free spins and try your luck. Tuesday May 14th free spins on Arrival. Play your free spins and try your luck. Free Spins Friday 11th of May 2 Million B.C. Friday May 11th free spins on 2 million b.c.. Play your free spins and try your luck. Tuesday May 8th free spins on Rockstar. Play your free spins and try your luck. 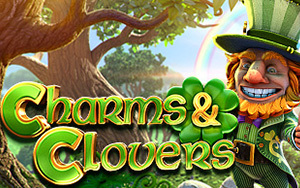 Friday 4th of May free spins on Charms and Clovers. Also we'd like to introduce 3 new games to you. Read all about it. Play your free spins and try your luck. 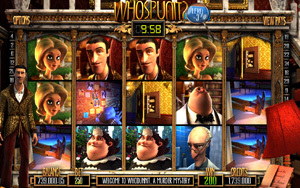 Friday 27 April free spins on Whospunit. Play your free spins and try your luck. 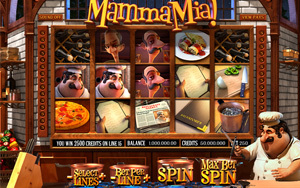 Tuesday 24 April free spins on Mamma Mia. Play your free spins and try your luck. 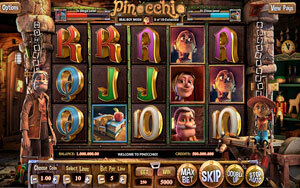 Friday 20 April free spins on Pinocchio. Play your free spins and try your luck. 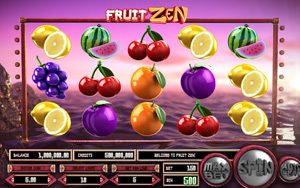 Tuesday 17 April free spins on Fruit Zenn. Play your free spins and try your luck. Friday 13 April free spins on Black Gold. Play your free spins and try your luck. 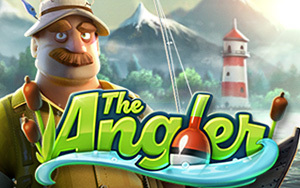 Tuesday 10 April free spins on The Angler. Also we'd like to introduce Two new games to you. Read all about it. Play your free spins and try your luck. 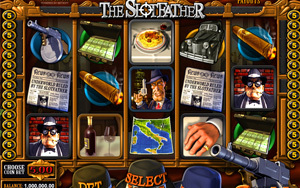 Friday 6 April free spins on The Slotfather. Play your free spins and try your luck. 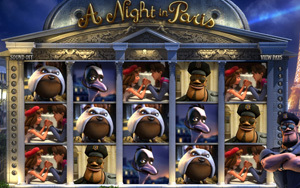 Tuesday 3 April free spins on A Night in Paris. Play your free spins and try your luck. Friday 30 March free spins on At the Movies. Play your free spins and try your luck. 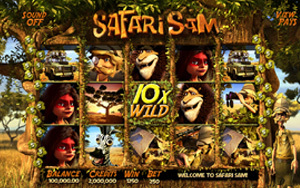 Tuesday 30 March free spins on Safari Sam. Play your free spins and try your luck. Friday 26 March free spins on Shushi Bar. Play your free spins and try your luck. Tuesday 20 March free spins on After Night Falls. Play your free spins and try your luck. 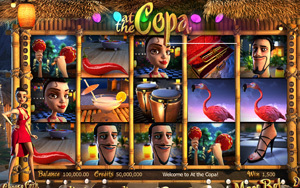 Friday 16 March free spins on At the Copa. Play your free spins and try your luck. Tuesday 13 March free spins on Under the Bed. Play your free spins and try your luck. Friday 9 March free spins on Boomanji. Play your free spins and try your luck. Tuesday 6 March free spins on The True Sheriff. Play your free spins and try your luck. 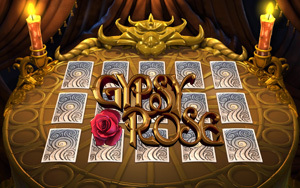 Friday 2 March free spins on Gypsy Rose. Play your free spins and try your luck. 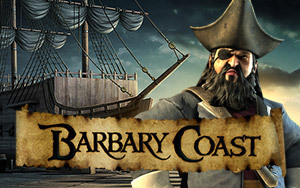 Tuesday 30 February free spins on Barbary Coast. Play your free spins and try your luck. Friday 26 February free spins on Enchanted. Play your free spins and try your luck. Tuesday 23 February free spins on Mr Vegas. Play your free spins and try your luck. 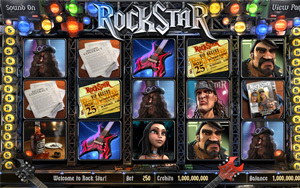 Friday 16 February free spins on Rockstar. Play your free spins and try your luck. Tuesday 16 February free spins on House fo Fun. Play your free spins and try your luck. Friday 12 February free spins on Gold Diggers. Play your free spins and try your luck. Free Spins Tuesday 6 February 2 Million B.C. 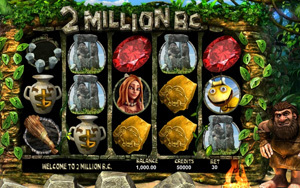 Tuesday 6 February free spins on 2 Million B.C.. Play your free spins and try your luck. Free Spins Friday 2 Februari Paco and the Popping Peppers. 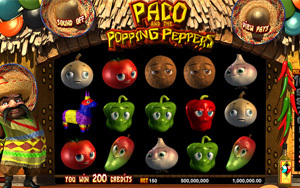 Friday 2 February free spins on Paco and the Popping Peppers. Play your free spins and try your luck. Tuesday 30 January free spins on Glam Life. Play your free spins and try your luck. Friday 26 January free spins on Treasure Room. Play your free spins and try your luck. 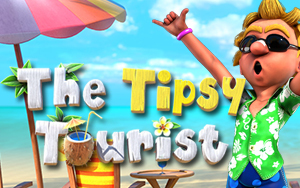 Tuesday 23 January free spins on The Tipsy Tourist. Play your free spins and try your luck. 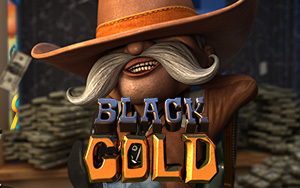 Friday 19 January free spins on Black Gold. Play your free spins and try your luck. Tuesday 16 January free spins on The Angler. Play your free spins and try your luck. Friday 12 January free spins on Fruit Zen. Play your free spins and try your luck. Tuesday 9 January free spins on Puppy Love. Play your free spins and try your luck. Friday 5 January free spins on a Night in Paris. Play your free spins and try your luck. 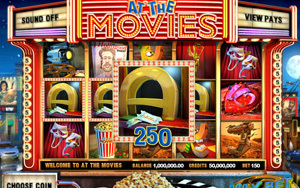 Tuesday 2 Januari free spins on At the Movies. Play your free spins and try your luck. 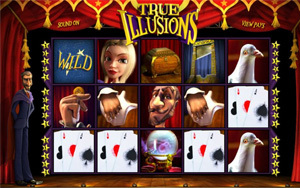 Tuesday 28 November free spins on True Illusions. Play your free spins and try your luck. 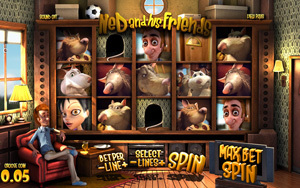 Friday 24 November free spins on Ned and his Friends. Play your free spins and try your luck. 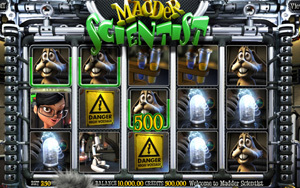 Tuesday 21 November free spins on Madder Scientiest. Play your free spins and try your luck. 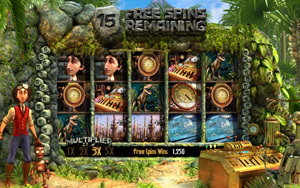 Friday 17 November free spins on Lost. Play your free spins and try your luck. 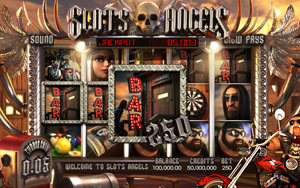 Friday 14 November free spins on Slots Angels. Play your free spins and try your luck. 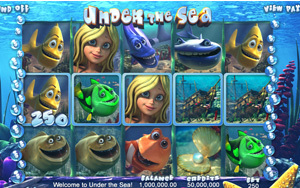 Friday 10 November free spins on Under the Sea. Play your free spins and try your luck. 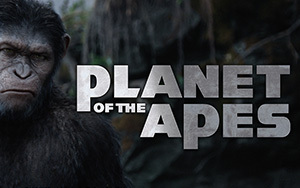 Planet of the Apes is the latest video slot brought to you by NetEntTM in association with 20th Century Fox. Based on the two movies – Rise of the Planet of the Apes and Dawn of the Planet of the Apes – the game takes the player on a journey between the two different phases of the Ape Army leader Caesar’s life. Click here to play Planet of the Apes. 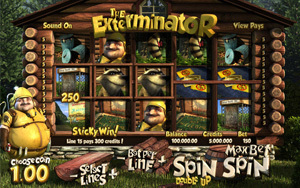 Tuesday 7 November free spins on The Exterminator. Play your free spins and try your luck. Friday 3 November free spins on At the Movies. Play your free spins and try your luck. 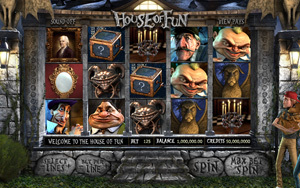 Tuesday 31 October free spins on 4 Horror games (House of Fun, Under The Bed, Dr Jekyll and Mr Hyde and After Night Falls). And a 25% Halloween Deposit Bonus check it out. Deposit and play your free spins if you dare. 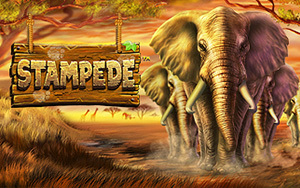 Friday the 27th of October free spins on Safari Sam. Play your free spins and try your luck. 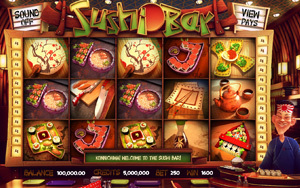 Tuesday 24 October free spins on Sushi Bar. Play your free spins and try your luck. Tuesday the 20 October free spins on After Night Falls. Play your free spins and try your luck. Tuesday 17 October free spins on At the Copa. Play your free spins and try your luck. 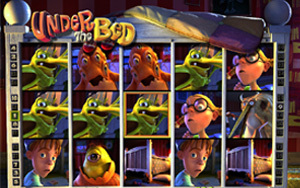 Tuesday the 13 October free spins on Under the Bed. Play your free spins and try your luck. 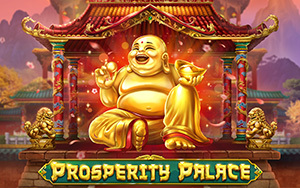 Play'n Go's latest is Prosperity Palace. Prosperity Palace is a 5 reel, 10 payline video slot set in front of a palace. The game includes an array of Chinese symbols such as coins, children riding Koi fish, jade dragons, and golden Buddhas to symbolize luck. 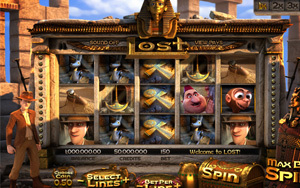 The game's features include wild symbols, scatters, free spins, and win multipliers. The game is available for play on both desktop and mobile platforms. 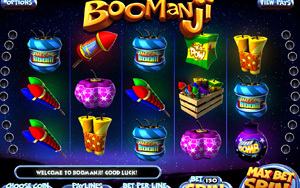 Tuesday 10 October free spins on Boomanji. Play your free spins and try your luck. 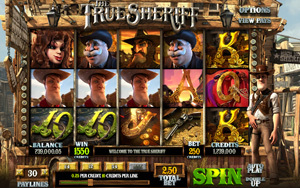 Friday 6 October free spins on The True Sherif. Play your free spins and try your luck. Tuesday 3 October free spins on Gypsy Rose. Play your free spins and try your luck. 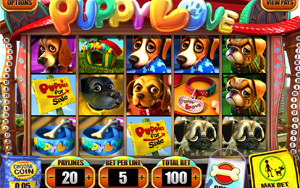 Friday 29 September Puppy Love free spins on Puppy Love. Play your free spins and try your luck. Friday 26 September free spins on Fruit Zen. Play your free spins and try your luck. 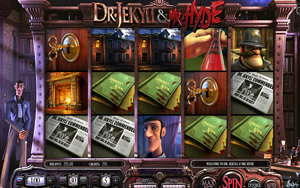 Friday 22 September free spins on Dr Jekyll. Play your free spins and try your luck. Netents's latest is Wolf Cub. 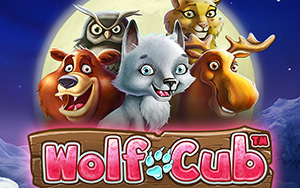 Here at Bigbangcasino your can play Netent's game Wolf Cub. Great grafix in a cartoon setting about a Wolf Cub in a winter forrest with snow flakes falling down. Wolf Cub is on a adventure with his friends. You will be rewarded with bonuses and free spins rounds in a blizzard. Tuesday 19 September free spins on The Curious Machine. Play your free spins and try your luck. 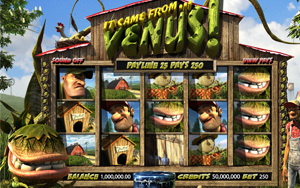 Friday 15 September free spins on It came from Venus. Play your free spins and try your luck. Tuesday 12 September free spins on Who Spun It. Play your free spins and try your luck. Netents latest isEmoji Planet. 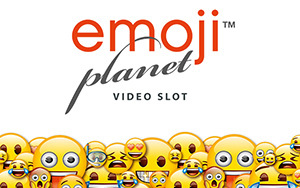 Here at Bigbangcasino Emojis come to life in NetEnt’s Emoji Planet – a 5 reel, 6 row, cluster pays slot which is playable from 20p a spin on all devices. It uses the Avalanche feature which means you can win again and again from each cascade. It also comes with 5 Emoji features which are triggered when you fill the corresponding meter – you can get cash prizes, 3x3 overlay symbols, 3 sticky wilds and 10 wild stacks. There are wins of up to 5,000 times your stake on each cascade! 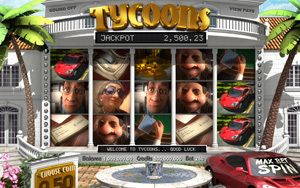 Friday 8 September free spins on Tycoons. Play your free spins and try your luck. 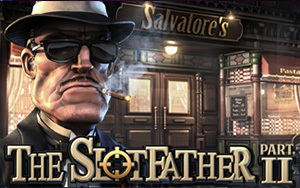 Tuesday the 5th of September free spins on The Slot Father. Play your free spins and try your luck. Friday the 1st of September free spins on A Night in Paris. Play your free spins and try your luck. This Thursday is for Betsoft's latest Giovanni's Gems. Giovanni’s Gems is a High Volatility, Cluster based Cascading game Volatility– With stunning graphics and a carefully structured icon hierarchy, we are confident you are going to love this game. The cascading nature of the game allows you to sit back and watch as small wins turn into fantastically exciting sequences of multiple wins in a single games. The Coal icon adds to this excitement as when it is next to a winning symbol, it turns into a high paying scatter Diamonds, generating even more wins and enriching your winning experience. Tuesday the 29th of August free spins on Mega Gems. Play your free spins and try your luck. 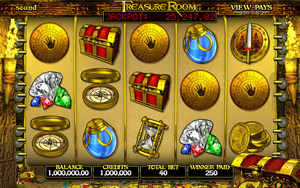 Friday the 25th of August free spins on Treasure Room. Play your free spins and try your luck. This Thursday is for Netents Butterfly Staxx. There is something magic about the life of a butterfly. Starting as something small as a caterpillar it gently transforms in to something beautiful as a butterfly. To see the real beauty you just have to patiant and keep on playing this game. Hit enough of the right symbols, and you could be in for some incredibly big payouts. 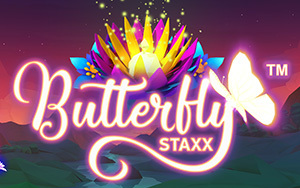 Butterfly Staxx is set on 5 reels, 4 rows and 40 fixed paylines with the lower paying symbols consisting of colorful card symbols 10, J, Q, K and A.
Tuesday the 22nd of August 20 free spins on The Tipsy Tourist. Play your free spins and try your luck. NOTE. The free spins are available from 10:00 AM to 23:00 PM To get the free spins you must deposit of € 20,- or more in your wallet and you can do it now. Friday the 18th of August free spins on Black Gold. Play your free spins and try your luck. 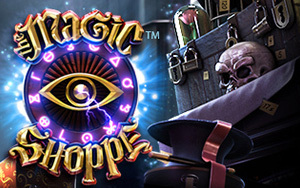 Magic and wizardry has been given a super makeover in the latest online slots from Betsoft – the Magic Shoppe video slot will leave you wanting more and more with every spin, but be careful, because not everything is as it seems. The free Magic Shoppe slot welcomes players into a world where magic can be both good and evil, but thankfully, no harm will come to you, just good rewards hopefully. Magic Shoppe is a 5-reel, 25-fixed payline game with a unique design and theme. Magic Shoppe. Tuesday 15 August free spins on Pincchio. Play your free spins and try your luck. NOTE. The free spins are available from 10:00 AM to 23:00 PM. To get the free spins and to withdrawl any winnings your account must have had a deposit of € 20,- or more in the past or you can do it now. Friday 11 August free spins on The Angler. Play your free spins and try your luck. Multifruit 81 is a New game by Play'n Go. 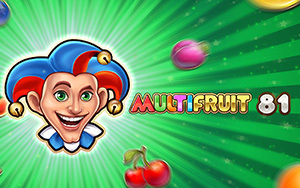 There are no less than 81 ways to win in MultiFruit 81, a sweet, succulent slot from Play’n GO that will have your mouth watering for perfectly plummy prizes,spin after spin! The Juicy Joker is wild and can help you comprise fruitful combinations on any of the 81 designated prize paths.Multifruit 81. Tuesday 8th of August free spins on Aztec Idols. Play your free spins and try your luck. Friday 4 August free spins on Fortune Teller. Play your free spins and try your luck. 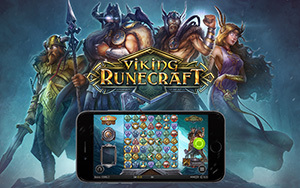 Viking Runecraft is a New game by Play'n Go. In a mysterious past of runes, magic and heroic battles, the Vikings sought to conquer riches across the land and seas. Experience the awesome prowess of the ancient warriors of the North and their ever-present gods in an action-packed adventure. Collect the Rune stones and receive the gift of Gods for an amzing chance to win.Viking Runecraft. 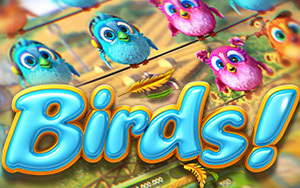 Wednesday the 2st August free spins on Birds. Play your free spins and try your luck. 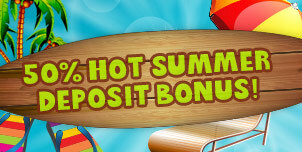 Cash in this bonus straight away, maybe you can even extend your holiday with a few extra days! You have to deposit at least € 20, - in your account, on the 1st of August, and then you will receive the extra summer bonus of 50%. DEPOSIT and get a 50% BONUS. Keep your eyes pealed for the month of august. We are preparing some very special offers and promotions. Everyday a different and new one! Check this news page everyday in august to maximize your winnings! Friday 28 July free spins on Myth. Play your free spins and try your luck. Tuesday the 25 July free spins on Pimped. Play your free spins and try your luck. Friday 21 July free spins on Royal Masquerade. Play your free spins and try your luck. Tuesday the 18 Juli free spins on Jewel Box. Play your free spins and try your luck. 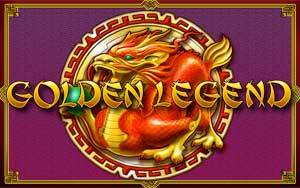 Friday 14 Juli free spins on Golden Legend. Play your free spins and try your luck. Tuesday the 11 Juli free spins on Cats and Cash. Play your free spins and try your luck. Friday 7 Juli free spins on Ninja Fruits. Play your free spins and try your luck. Tuesday the 4 Juli free spins on Cops 'n Robbers. Play your free spins and try your luck. Friday 30 Juni free spins on Sails of Gold. Play your free spins and try your luck. Tuesday the 27 Juni free spins on Aztec Idols. Play your free spins and try your luck. Friday 23 Juni free spins on Golden Caravan. Play your free spins and try your luck. Tuesday the 20 Juni free spins on Dragonship. Play your free spins and try your luck. Friday 16 Juni free spins on Enchanted Meadow. Play your free spins and try your luck. Tuesday the 13 Juni free spins on Gun Slinger. Play your free spins and try your luck. Friday 9 Juni free spins on Book of Dead. Play your free spins and try your luck. Tuesday the 6 Juni free spins on Space Race. Play your free spins and try your luck. 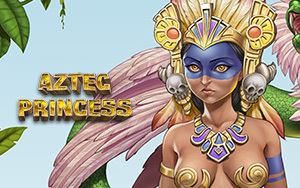 Friday 2 Juni free spins on Aztec Warrior Princess. Play your free spins and try your luck. Tuesday the 30 Mei free spins on Leprachaun goes Egypt. Play your free spins and try your luck. Friday 26 Mei free spins on Crazy Cows. Play your free spins and try your luck. 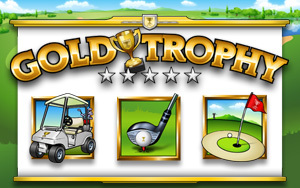 Tuesday the 23 Mei free spins on Gold Trophy2. Play your free spins and try your luck. Friday 19 Mei free spins on Photo Safari. Play your free spins and try your luck. 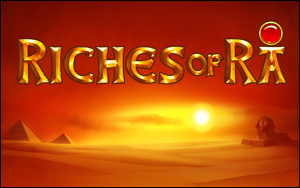 Tuesday the 16 Mei free spins on Riches of Ra. Play your free spins and try your luck. Friday 12 Mei free spins on Pearl Lagoon. Play your free spins and try your luck. Tuesday the 9 Mei free spins on Ninja Fruits. Play your free spins and try your luck. Friday 5 Mei free spins on Hugo. Play your free spins and try your luck. Tuesday the 2 Mei free spins on Cops and Robbers. Play your free spins and try your luck. Friday 28 April free spins on Aztec Idols. Play your free spins and try your luck. Tuesday the 25 April free spins on Fortune Teller. Play your free spins and try your luck. Friday 21 April free spins on Wild Blood. Play your free spins and try your luck. Tuesday the 18 April free spins on Myth. Play your free spins and try your luck. Friday 14 April free spins on Royal Masquerade. Play your free spins and try your luck. Tuesday the 11 April free spins on Jolly Roger. Play your free spins and try your luck. Friday 7 April free spins on Photo Safari. Play your free spins and try your luck. 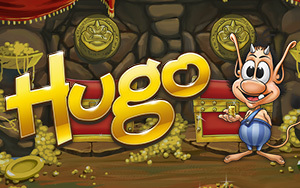 Tuesday the 4 April free spins on HUGO. Play your free spins and try your luck. Friday the 31 March free spins on Pimped. Play your free spins and try your luck. Friday 28 March free spins on Dragonship. Play your free spins and try your luck. Free Spins Tuesday 24 March Jewel Box. Tuesday the 24 March free spins on Jewel Box. Play your free spins and try your luck. Free Spins Friday 21 March Aztec Idols. Friday 21 March free spins on Aztec Idols. Play your free spins and try your luck. Free Spins Tuesday 17 March Cats and Cash. Tuesday the 17 March free spins on Cats and Cash. Play your free spins and try your luck. Free Spins Tuesday 14 March Ninja Fruits. 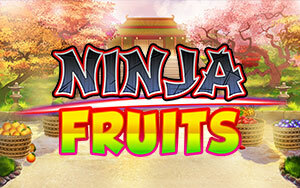 Tuesday the 14 March free spins on Ninja Fruits. Play your free spins and try your luck. 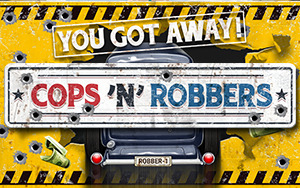 Friday 10 March free spins on Cops n Robbers. Play your free spins and try your luck. Tuesday the 7 March free spins on Sails of Gold. Play your free spins and try your luck. 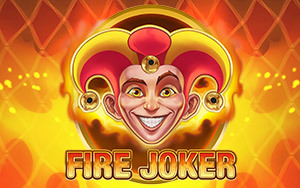 Friday 3 March free spins on Fire Joker. Play your free spins and try your luck. Friday 28 Februari free spins on Golden Caravan. Play your free spins and try your luck. Tuesday the 24 Februari free spins on Dragonship. Play your free spins and try your luck. Tuesday 21 Februari free spins on Enchanted Meadow. Play your free spins and try your luck. Friday the 17 Februari free spins on Gunslinger. Play your free spins and try your luck. 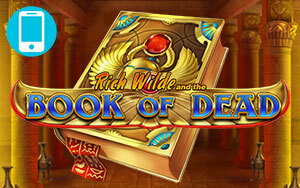 Friday 14 Februari free spins on Book of Dead. Play your free spins and try your luck. 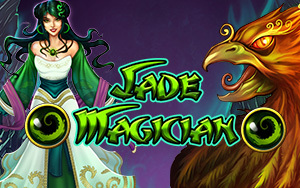 Friday 10 Februari free spins on new release Jade Magician. Play your free spins and try your luck. Friday 2 Februari free spins on 5X Magic. Play your free spins and try your luck. Tuesday the 3rd of februari free spins on Leprachaun goes Egypt. Play your free spins and try your luck. Tuesday the 31st of januari free spins on Crazy Cows. Play your free spins and try your luck. Friday the 27th januari free spins on Gold Trophy2. Play your free spins and try your luck. Tuesday the 24th of januari free spins on Photo Safari. Play your free spins and try your luck. Friday 20 januari free spins on Riches of Ra. Play your free spins and try your luck. Tuesday the 17th of januari free spins on Pearl Lagoon. Play your free spins and try your luck. Friday the 13th of januari free spins on Ninja Fruits. Play your free spins and try your luck. Tuesday the 10th of januari free spins on Hugo. Play your free spins and try your luck. Friday Januari 6 free spins on Cops 'n Robbers. Play your free spins and try your luck. Tuesday the 3rd of januari free spins on Aztec Idols. Play your free spins and try your luck. Friday 30 Dec free spins on Jolly Roger. Play your free spins and try your luck. 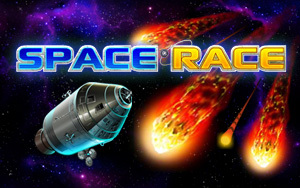 Thursday 29 Dec free spins on Space Race. Play your free spins and try your luck. Wednesday 28 Dec free spins on Wild Blood. Play your free spins and try your luck. Tuesday 27 Dec free spins on Royal Masquerade. Play your free spins and try your luck. 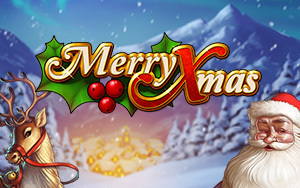 Friday 23 dec free spins on Merry Xmas. Play your free spins and try your luck. Tuesday the 20 dec free spins on Pimped. Play your free spins and try your luck. Friday 16 dec free spins on Dragon Ship. Play your free spins and try your luck. Tuesday 13 dec free spins on Jewel Box. Play your free spins and try your luck. Friday the 9th of dec free spins on Holiday Gifts. Play your free spins and try your luck. Tuesday the 6 dec free spins on Cats and Cash. Play your free spins and try your luck. Friday 2 dec free spins on Ninja Fruits. Play your free spins and try your luck. Tuesday the 29 nov free spins on HUGO. Play your free spins and try your luck. Friday 25 nov free spins on Sails of Gold. Play your free spins and try your luck. Tuesday the 22 nov free spins on Fire Joker. Play your free spins and try your luck. 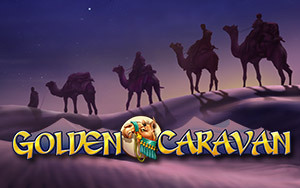 Friday 18 nov free spins on Golden Caravan. Play your free spins and try your luck. 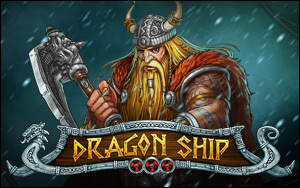 Tuesday the 15 nov free spins on Dragon Ship. Play your free spins and try your luck. Friday 11 november free spins on Enchented Meadow. Play your free spins and try your luck. Tuesday the 8 nov free spins on Gunslinger. Play your free spins and try your luck. Friday 4 november free spins on Book of Dead. Play your free spins and try your luck. Tuesday the 1 nov free spins on Space Race. Play your free spins and try your luck. Friday 28 okt free spins on Wild Blood. Play your free spins and try your luck. Tuesday the 25 okt free spins on Leprachaun goes Egypt. Play your free spins and try your luck. Friday 21 okt free spins on Crazy Cows. Play your free spins and try your luck. Tuesday the 18 okt free spins on Myth. Play your free spins and try your luck. Friday 14 okt free spins on Lady of Fortune. Play your free spins and try your luck. Tuesday the 11 okt free spins on Riches of Ra. Play your free spins and try your luck. Friday 7 okt free spins on Pearl Lagoon. Play your free spins and try your luck. Tuesday the 4 okt free spins on Royal Masquarad. Play your free spins and try your luck. Friday 30 sept free spins on Golden Legend. Play your free spins and try your luck. Tuesday the 27 sept free spins on Pimped. Play your free spins and try your luck. Friday 23 sept free spins on Aztec Idols. Play your free spins and try your luck. Tuesday the 20 sept free spins on Fortune Teller. Play your free spins and try your luck. HUGO is new in Bigbangcasino HUGO. Play HUGO and try your luck. Friday 16 sept free spins on Photo Safari. Play your free spins and try your luck. Tuesday the 13 sept free spins on Myth. Play your free spins and try your luck. Friday 9 sept free spins on Jolly Roger. Play your free spins and try your luck. 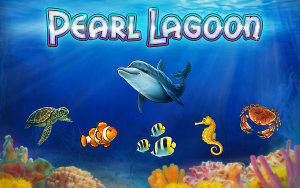 Tuesday 6 sept free spins on Pearl Lagoon. Play your free spins and try your luck. Friday 2 sept free spins on 5X Magic. Play your free spins and try your luck. Tuesday the 30 august free spins on Jewelbox. Play your free spins and try your luck. Friday 26 august free spins on Cats and Cash. Play your free spins and try your luck. Tuesday the 23th of august free spins on Ninja Fruits. Play your free spins and try your luck. Friday 19 august free spins on Cops and Robbers. Play your free spins and try your luck. Tuesday the 16th of august free spins on Sails of Gold. Play your free spins and try your luck. Friday 12 august free spins on Fire Joker. Play your free spins and try your luck. Tuesday the 9th of august free spins on Golden Caravan. Play your free spins and try your luck. Friday 5 august free spins on Dragon Ship. Play your free spins and try your luck. Tuesday the 2th of august free spins on Enchanted Meadow. Play your free spins and try your luck. Friday 29 july free spins on Gunslinger. Play your free spins and try your luck. Tuesday the 26 july free spins on Book of Dead. Play your free spins and try your luck. Friday 22 july free spins on Space Race. Play your free spins and try your luck. Tuesday the 19 july free spins on Wild Blood. Play your free spins and try your luck. Friday 15 july free spins on Leprachaun goes Egypt. Play your free spins and try your luck. Tuesday 12 july free spins on Crazy Cows. Play your free spins and try your luck. Friday 8 july free spins on Myth. Play your free spins and try your luck. Tuesday the 5th of july free spins on Lady of Fortune. Play your free spins and try your luck. Friday 1th july free spins on Riches of Ra. Play your free spins and try your luck. Tuesday the 28th of june free spins on Pearl Lagoon. Play your free spins and try your luck. Friday 24 june free spins on Royal Masquarade. Play your free spins and try your luck. Tuesday the 21th of june free spins on Golden legend. Play your free spins and try your luck. 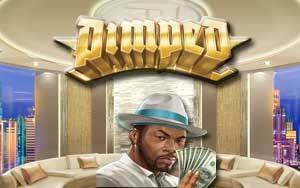 Friday 17 june free spins on Pimped. Play your free spins and try your luck. Tuesday the 14th of june free spins on Aztec Idols. Play your free spins and try your luck. Friday 10 june free spins on Golden Trophy. Play your free spins and try your luck. Tuesday the 7th of june free spins on Jolly Roger. Play your free spins and try your luck. Friday 4 june free spins on Photo Safari. Play your free spins and try your luck. Tuesday the 31th of may free spins on Myth. Play your free spins and try your luck. Friday the 27th of may free spins on Fortune Teller. Play your free spins and try your luck. Tuesday the 24th of may free spins on Pearl Lagoon. Play your free spins and try your luck. Friday the 20th of may free spins on 5X Magic. Play your free spins and try your luck. NOTE. Free spins are only for playing on PC and Laptop. The free spins are available from 10:00 AM to 23:00 PM To get the free spins your account must have had a deposit of € 20,- or more in the past or you can do it now. Tuesday the 17th of may free spins on Jewel Box. Play your free spins and try your luck. Friday the 13th of may free spins on Cats & Cash. Play your free spins and try your luck. Tuesday the 10th of may free spins on Ninja Fruits. Play your free spins and try your luck. Friday the 6th of may free spins on Cops 'n Robbers. Play your free spins and try your luck. Tuesday the 3rd of may free spins on Dragonship. Play your free spins and try your luck. Friday the 29th of april free spins on Enchanted Meadow. Play your free spins and try your luck. 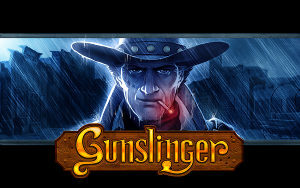 Tuesday the 26th of april free spins on Gunslinger. Play your free spins and try your luck. Friday the 22th of april free spins on Book of Dead (mobile). Play your free spins and try your luck. Tuesday the 19 th of april free spins on Space Race. Play your free spins and try your luck. Rumours about this game were that is had more win combinations and extra features that multiply your winnings 5 times. Let's end al these rumours by confirming them! Its true. 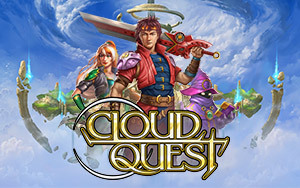 Really, the sky's the limit in Cloud Quest, leveling up in a game has never been so lucrative. Connect three of more matching symbols along any diagonal, horizontal of vertical line anywhere in the 5 x 5 grid. All rows and columns in the grid are active in each round, and any symbol can serve as part of multiple win combinations. Friday the 12th of april free spins on Wild Blood. Play your free spins and try your luck. 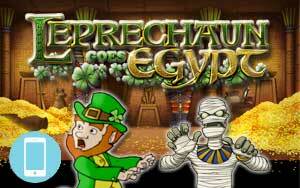 Tuesday the 12th of april free spins on Leprachaun goes Egypt. Play your free spins and try your luck. 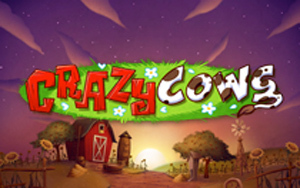 Friday the 8th of april free spins on Crazy Cows. Play your free spins and try your luck. Tuesday the 5th of april free spins on Myth. Play your free spins and try your luck. 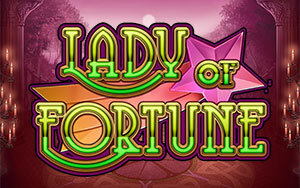 Friday the 1st of april free spins on Lady for Fortune. Play your free spins and try your luck. Tuesday the 29th of march free spins on Riches of Ra. Play your free spins and try your luck. 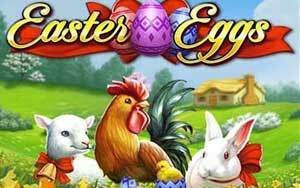 27 March Easter Sunday Free Spins Easter Eggs. Play your free spins and try your luck. Friday the 25th of march free spins on Pearl Lagoon. Play your free spins and try your luck. 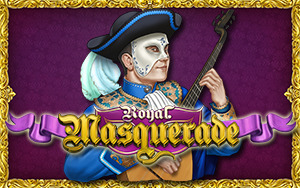 Tuesday the 22th of march free spins on Royal Masquerade. Play your free spins and try your luck. Friday the 18th of march free spins on Golden Legend. Play your free spins and try your luck. Tuesday the 15th of march free spins on Pimped. Play your free spins and try your luck. 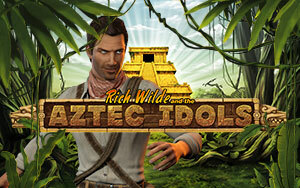 Wednesday the 9th of march free spins on Aztec Idols. Play your free spins and try your luck. Tuesday the 8th of march free spins on Gold Trophy. Play your free spins and try your luck. Monday the 7th of march free spins on Jolly Roger. Play your free spins and try your luck. 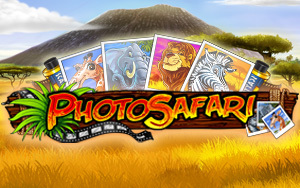 Sunday the 6th of march free spins on Photo Safari. Play your free spins and try your luck. 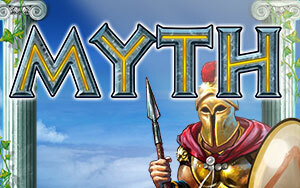 Saturday the 5th of march free spins on Myth. Play your free spins and try your luck. 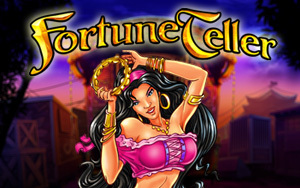 Friday the 4th of march free spins on Fortune Teller. Play your free spins and try your luck. Thursday the 3th of march free spins on Pearl Lagoon. Play your free spins and try your luck. Wednesday the 2nd of march free spins on 5X Magic. Play your free spins and try your luck. 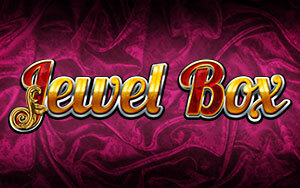 Tuesday the 1st of march free spins on Jewel Box. Play your free spins and try your luck. Monday the 29th of februari free spins on Cats and Cash. Play your free spins and try your luck. Sunday the 28th of februari free spins on Ninja Fruits. Play your free spins and try your luck. Saturday the 27th of februari free spins on Cops and Robbers. Play your free spins and try your luck. Friday the 26th of februari free spins on Dragon Ship. Play your free spins and try your luck. Thursday the 25th of februari free spins on Enchented Meadow. Play your free spins and try your luck. Wednesday the 24th of februari free spins on Gun Slinger. Play your free spins and try your luck. 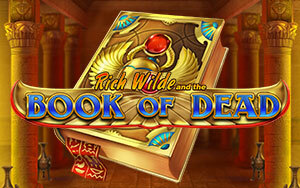 Tuesday the 23th of februari free spins on Book of Dead. Play your free spins and try your luck. Monday the 22th of februari free spins on Space Race. Play your free spins and try your luck. Sunday the 21st of februari free spins on Wild Blood. Play your free spins and try your luck. Saturday the 20th of februari free spins on Leprachaun goes Egypt. Play your free spins and try your luck. Friday the 19th of februari free spins on Crazy Cows. Play your free spins and try your luck. Thursday the 18th of februari free spins on Myth. Play your free spins and try your luck. Wednesday the 17th of februari free spins on Lady of Fortune Play your free spins and try your luck. NOTE. To get the free spins your account must have had a deposit of € 20,- or more in the past or you can do it now. Tuesday the 16th of februari free spins on Riches of Ra. Play your free spins and try your luck. Monday the 15th of februari free spins on Pearl Lagoon. Pearl Lagoon. Play your free spins and try your luck. Sunday the 14th of februari free spins on Royal Masquerade. Play your free spins and try your luck. Saturday the 13th of februari free spins on Golden Legend. Play your free spins and try your luck. Friday the 12th of februari free spins on Pimped. Play your free spins and try your luck. NOTE. To get the free spins a deposit of € 20,-must have been done in de past or you can do it now! This Tuesday the 8th of februari free spins on Chinese New Year. Play your free spins and try your luck. This Friday 5th of februari free spins on Samba Carnival. Play your free spins and try your luck. Free spins on Space Race. Play your free spins and try your luck. Free spins on Wild Blood. Play your free spins and try your luck. 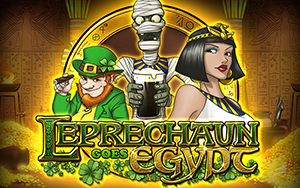 Free spins on Leprachaun goes Egypt. Play your free spins and try your luck. Free spins on Myth. Play your free spins with creepy creatures. Free spins on Lady of Fortune. Play your free spins and find if the Lady will share her fortune with you. Free spins on Pearl Lagoon. Play your free spins and find what the treasures on the bottom of the sea. Free spins on 5 X Magic. Play your free spins to find out what the magic can do for you! Aztec Idols has the free spins this Friday. Find gold in this adventures game with Riche Wilde! 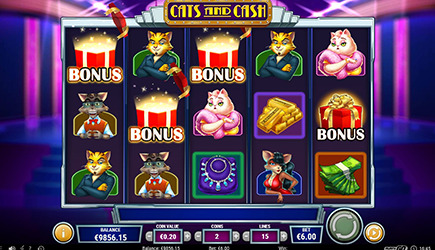 Cats and cash is where it's at this Tuesday, get your free spins while they are hot! Wizard of Gems is a slot machine featuring 5 reels and 20 paylines. 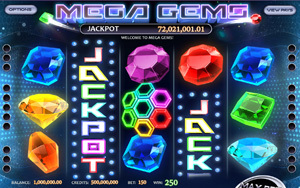 The game flaunts a magical theme with colourful gemstones all over the reels. The gemstones cascade on the reels along with consecutive wins that are made possible from every spin. The Happy holidays season is here and that means you can enjoy our end of year bonus! With these holidays in mind BigBang gives away a 50% bonus up to €500 bonus. At the end of the rainbow, you'll find Gold, or free spins this Friday! Nab those free spin at Cops and robbers this Tuesday. Loot the Dragon Ship and plunder those free spins. 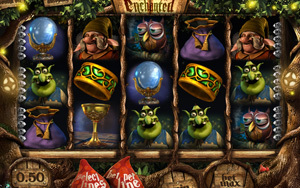 Into the Enchanted Meadow you should wander to find the free spins this Tuesday. Fruit Bonanza is where you get your fresh dose of free spins this Friday. 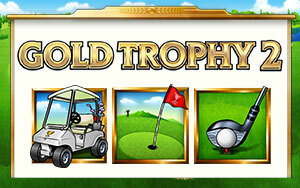 Will you hit that hole in one, or grab some of those free spins? "Feeling lucky, Punk?" Grab your gun and aim for those free spins this Friday. 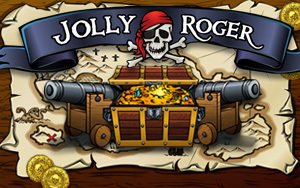 Dig deep and find that treasure, we hid some free spins in Jolly Roger. Get out your camera and boots, we going hunting for free spins in Photo Safari this Friday! Mermaids Pearl is based on an enchanted ocean theme where mermaids, rare pearls, and other treasures line the beach. Palm Trees, Single, Double and Triple Bars, Fish, Starfish, and Oyster Pearls are the main symbols in this classic slot. 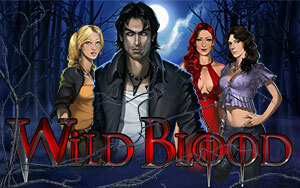 To start your weekend in a winningmood we have some freespins on Wild Blood for you. Happiness, which is what you need while hazarding a guess and that is exactly what did the 26-year-old Briton Jon Heywood. Microgaming has released two new online slots, offcourse we at BigbangCasino have these games for you to play on. Titans of the Sun Theia and Hyperion. 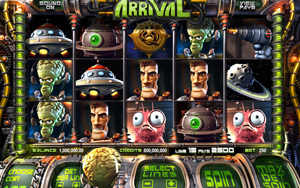 Let's head into space with these freespins! The Rugby World Champions ship is a great happening, why not join in with this brand new game we have in store for you in our casino. At BigbangCasino you can play on the go, so play your favorite slots or game anywhere everywhere! The Brides Maids have arrived at BigbangCasino, a great new slot machine with lots of ways to win big! The free spins are available from 10:00 AM to 23:00 PM on Friday the 4th of september. Will the pirates of the Jolly Roger be kind to you? Before she lost her glory, Rome was known across the world for many things, one of them being epic warriors called gladiators. Every day we reward our loyal players with special bonuses. This Tuesday we take you back to ancient Egypt with our free spins offer. Read more about it. Ever see a cow go crazy? Ever see a cow go crazy? In this slot machine Crazy Cows review we give you the ins and outs of the Crazy Cows slot machine Play'n Go. This tuesday we take you into space with our free spins offer. Read more about it. Easter is a celebration full of joy and fun so start searching for those hidden eggs and catch your bonus. Punto Banco odds or even? This week on tuesday and friday we have free spins again. 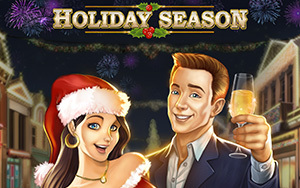 The free spins are available from 10:00 AM to 23:00 PM on tuesday the 23th of December, and friday the 26th of December. Cops n Robbers Free Spins. Crazy Cows absolute top game with 5 rows with 15 paylines. 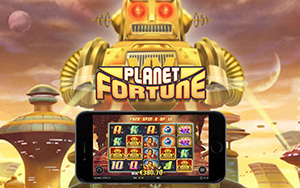 Arctitc fortune is game of the month at BigbanCasino this month, read more about this game. 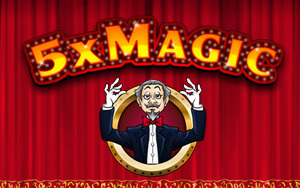 Free spins on 5x Magic. PROMO EXPIRED! Free spins on photo safari! PROMO EXPIRED! This week we have free spins on the game photo safari.... Go and check out the article for more information about this promo. Free spins on Wild Blood. THIS PROMO HAS EXPIRED! Lady of Fortune free spins promo. This promo has expired! Free spins on Ninja Fruits. this promo has expired! Ever dreamed of being a Ninja? With this game you will be one, will you succeed to slice all the fruit in your way? Are you the winner off 200 free spins on Riches of Ra this week? PROMO HAS EXPIRED! This week tuesday we have a super promo on free spins again. You have the chance to an extra 200 free spins next to the 20 you will get on your deposit. Every been to wonder full india? Let this game take you back to the adventures days of the past. The free spins are available from 10:00 AM to 23:00 PM on friday the 14th of november. 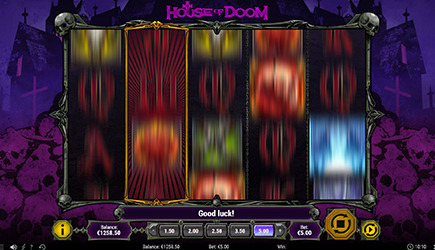 Read more on the extra features in this Jackpot game! Playing in a online casino is fun, but keep it responsible. Irish gold will the luck of the Irish be with you?..... Read more about it! Promo has expired! There are different ways to deposit money in a online casino. Ever tried these out? We made a shortlist for you convenience. This promo has expired!! Friday 24th of october we have free spins on the game Cats&Cash go to the article to read more about this promo! 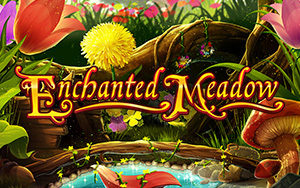 This tuesday the 21st of october we have free spins on the game enchanted meadow. 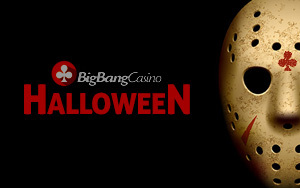 Halloween is coming and off course BigbangCasino has a special halloween bonus in store for you. This promo has expired!! Curious on which game we will have the free spins? Go ahead and check out our news page! THIS PROMO HAS EXPIRED! It's free spin friday again so quickly go to our article and see on which game the free spins will be today. Ever tried playing scratch cards? It's fun and a lot of prizes can be won. Off course you can buy scratch cards in shops, in a bar etc, but playing them online is so much fun. Casino bonuses are always welcome with players. At BigbangCasino we like to give bonuses as well you our players. You can find info on all our actual bonuses on the bonus page.. If you enjoy playing exiting casino games we invite you to try the game Gold Factory for a change. 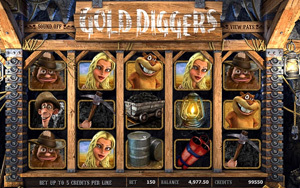 The slot game takes players to a mystic gold factory set in sylvan surroundings quite unique for an online casino game like this. The introductory clip has the man in charge showing the various parts of the factory where the bonus games will be played and where you can win big money prizes. Mosts weeks on tuesday and friday BigbangCasino gives away free spins. Playing live Black Jack in a land based casino is fun. But did you know that there are more ways to play live Black Jack. Did you ever tried it online? You will see that it is really exiting as the real game. This week we have a super promotion for our players we give away 200 free spins on the games Aztec idols. Note there's a minimum deposit of €20,- euro required to claim the spins. this promo is only for our Dutch and Belgium players. "Mystery Joker Mobile" is a game consisting of a number of symbols with 3Reels on the screen. The theme is fruits with a special joker hat symbol. That reminds us of the real time classical slotmachines, widely found in bars and casino's. The player bets on 5 pay lines running across the 3Reels and wins according to the paytable. Founded in Sweden in the year 2004, Play’n GO has established itself as a key player in the online gambling/gaming development industry. Play’n GO’s top level staff and executives combine many years of gaming experience, dating back to the time when they produced the first gambling/gaming solution in the early days of the Internet. With there typical Swedish know how, modernity, and a lot of creative ideas. The PlaynGo company offers very state of the art gabling/gaming and entertainment solutions which focus on casino software, online bingo games, back office management tools, and payment methodology. At BigbangCasino we are proud to have these games for our players. Playing mobile casino games is fun. If you want to play your favorite games everywhere on tablet, iPad, iPhone, Android or any other mobile device you like to use to play. 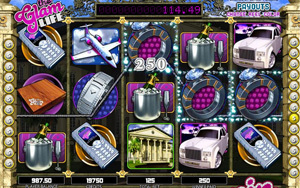 There are different forms of mobile casino games. BigbangCasino offer a wide range of mobile casino games ready for you to play. In your search towards a genuine and trusty online casino you can use different ways. If you conduct a search in google on the phrase online casino a lot of so called affiliate sites pop-up, but are they all trustworthy? Some sites or forums display so called players comments. But is it all true what you read about online casino's? Always try to look for a secure site to guide you. Organizations like for example Gaffg and GPWA give their ok to good affiliate sites. Blackjack, also known as the game twenty-one (21) is one of the most known and popular casino game around since ages. It also has become one of the best online casino games with almost no house edge and other obstacles. At Blackjack winning the game is relatively easy also to play and understand it, plus it can be played on low limits. Getting a blackjack means you have an ace and a ten or a face card, giving you a score of 21. Since every player plays against the dealer, it doesn't matter what other players have to you, only the dealer. This is a game of both stragegy and luck, but is fun to play. In most European countries the minimal age to play in an online casino is 18 years or older. If you want to be sure you are dealing with a legitimate online casino look for the 18+ sign in their promotions. Als take a look at the general terms before you start playing. Every month we have a game we want to highlight to you as our players. We select these games on different criteria. Most off the time we get feedback from our players on which games they love and like to play the most. Sometimes the games we choose had big winners on it. At BigbangCasino we offer a wide range of live casino games. 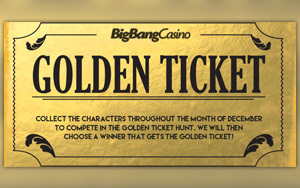 These are not the games every other online casino offers, we at Bigbang like to bring games no other casino has. We invite you to try them out. We offer live betting on lotto, poker and dice. Ever played a multiplayer game? Or joined an online casino tournament? BigbangCasino offers a great multiplayer game made bij Microgaming called "Wheel of wealth". This is a very exiting game that releases the wheel of wealth, will it spin in your favor? Every day there are winners in BigbangCasino. What does it take to be one? Well let us give you some tips! There are a lot of ways to deposit money to play at BigbangCasino. You can find more info on which one to use under our payment tab. One of the game software suppliers at BigbangCasino is Microgaming. 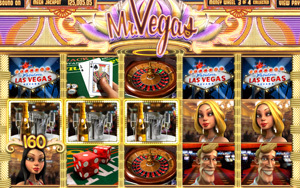 They offer a wide range of casino games ready to play at your leisure. Curious on who they are? Who does not remember these classical slotmachines from his youth? Free spins are a kind casino bonus every one likes to play. PROMO EXPIRED! NO LONGER AVAILABLE! Always wanted to go to a destination far away? Well here's your chance, Bigbang gives away a staggering prize in the form off an all inclusive trip to Hawaii.